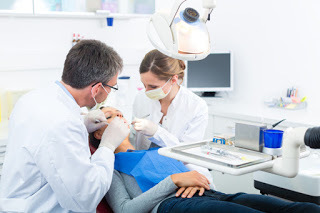 Dental practice loans can assist in a firms’ growth. that number might seem small, it is important to recognize the permanence and ubiquity of this field of medicine. From small practices to national powerhouses, dentists are a significant part of the economy and continue to grow. A recent article in Dental Economics looked at the challenges that exist for young dentists looking to grow their practice and boost their returns. The other huge element here is the amount of debt incurred by the dental student just to get to the point where they can be at a break-even point. There is no doubt that the alternative lending space and specifically those that focus in the dental category can help the emerging dental practice. Whether it its financing marketing expenses or simple capital improvements, the opportunities are there. Silver Rock Funding has emerged among numerous options as a destination for the savvy dental practice owner looking for a small business loan or funding. From our cutting-edge technology to our rapid growth, Silver Rock has helped dentists get the funding they deserve to grow.